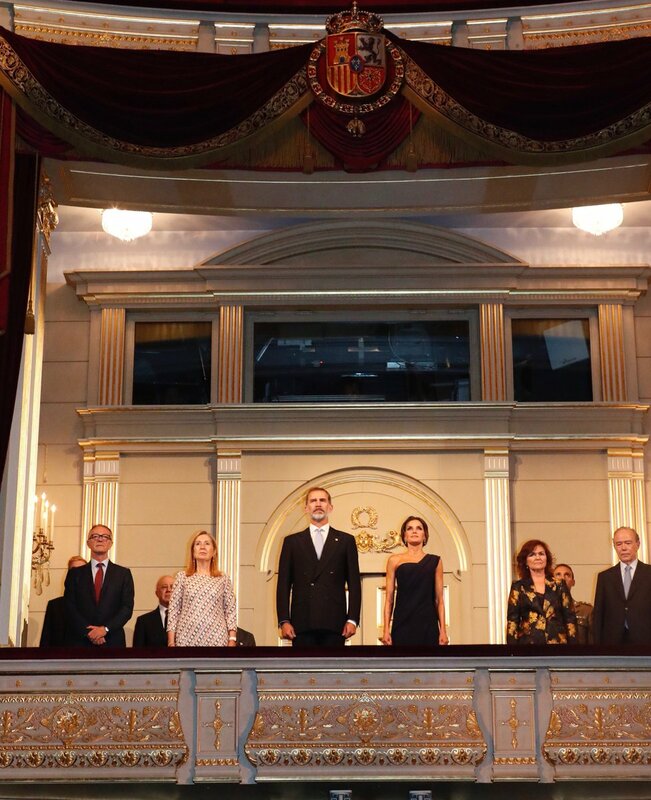 Today King Felipe and Queen Letizia of Spain opened the 22nd season of the Royal Theatre Teatro. 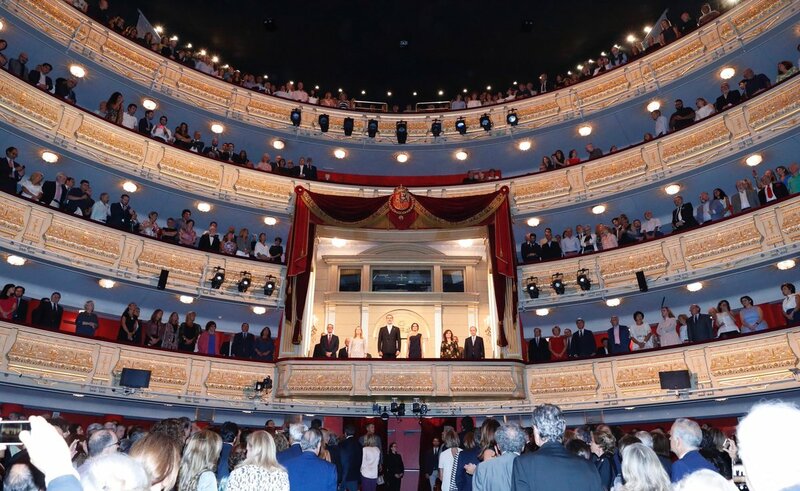 The season 2018/2019 was inaugurated with an opera performance “Faust”. 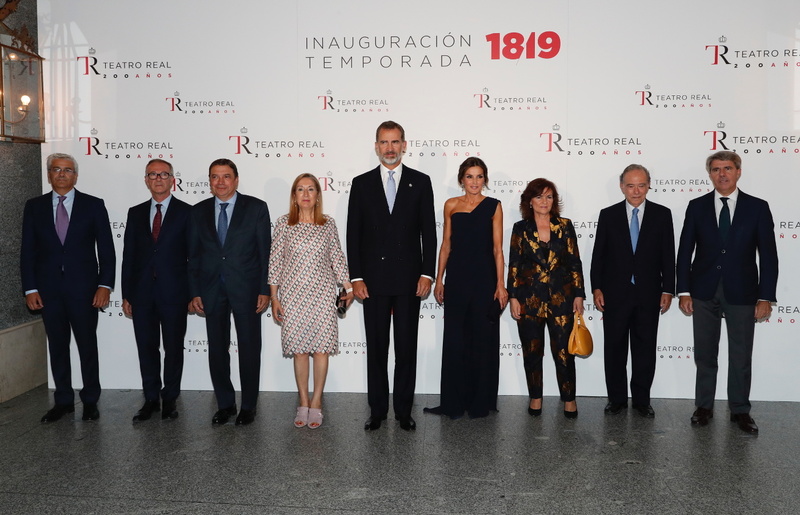 The Teatro Real will culminate the celebration of 200 years of its foundation with the 2018-2019 season. 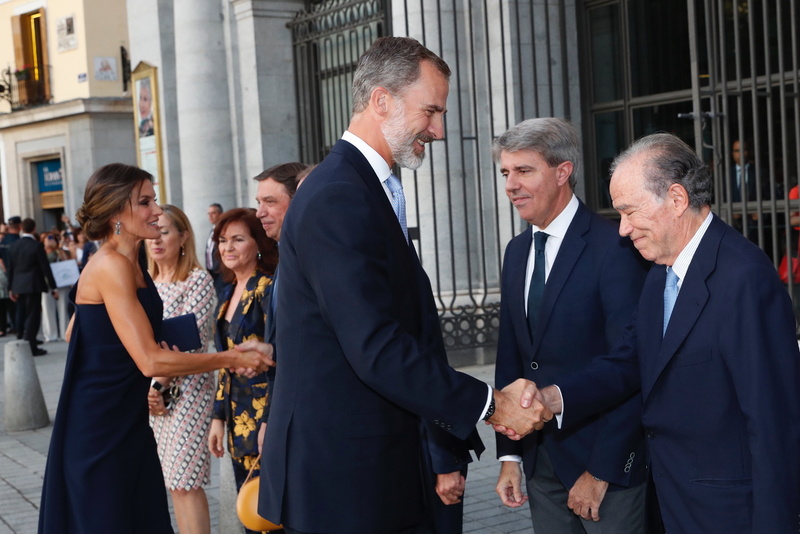 Upon arrival King and Queen were received by the Cultural Minister of Spain and governing body of the royal theater. 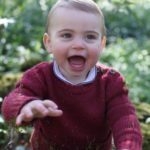 A video of royal arrival at the theater. 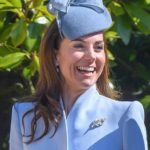 When the royals took the seat in the royal box of the theater, the event began with the national anthem. The opening performance “Faust” is the protagonist of a classic German legend, based on the historical Johann Georg Faust reproduced by Charles Gounod a Frenchman. A view of the royal theater. 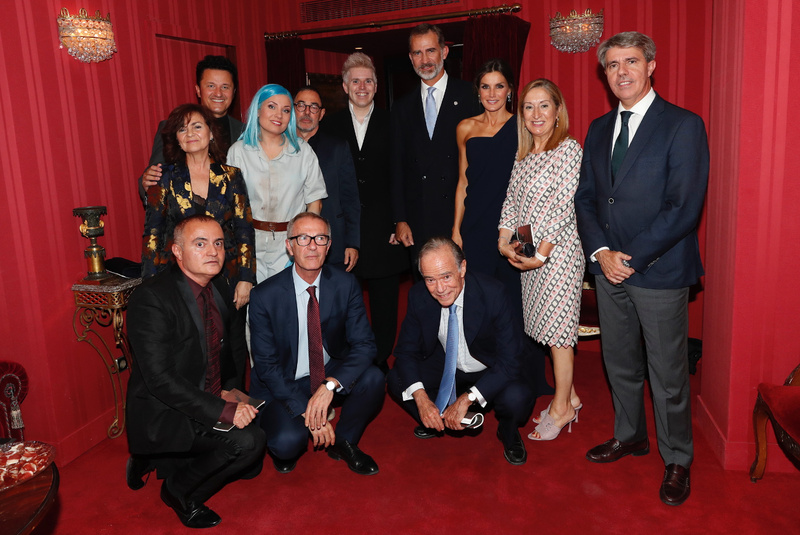 After the performance Felipe and Letizia went to the backstage to meet the director of the opera, the artists and the music director. 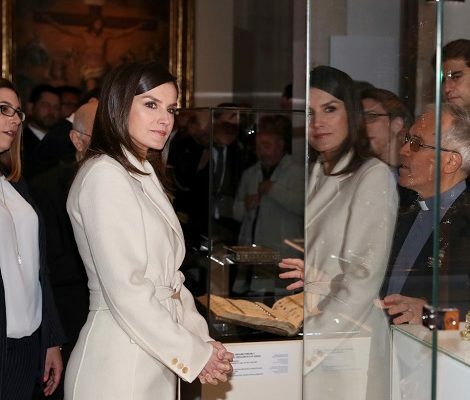 For the artistic and cultural event, Queen Letizia was expected to choose something dazzling and as usual Letizia did not disappoint. 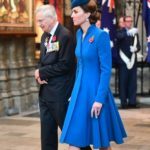 Letizia chose a navy jumpsuit with cape from Spanish label Pedro Del Hierro. 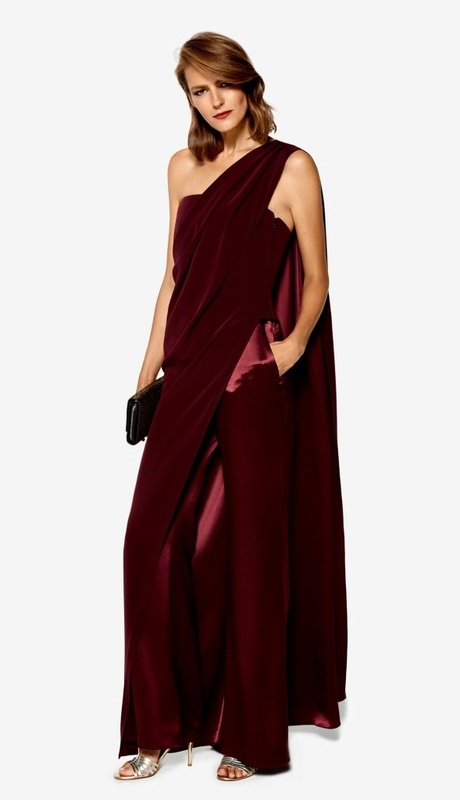 Initially I thought that the dress is from American label Donna Karan but it was later on confirmed that it is actually Made-in-Spain piece. Big thanks to Nuria Tiburcio for confirmation. The stunning piece was based on label’s Autumn/Winter 2017 Red Carpet Collection. 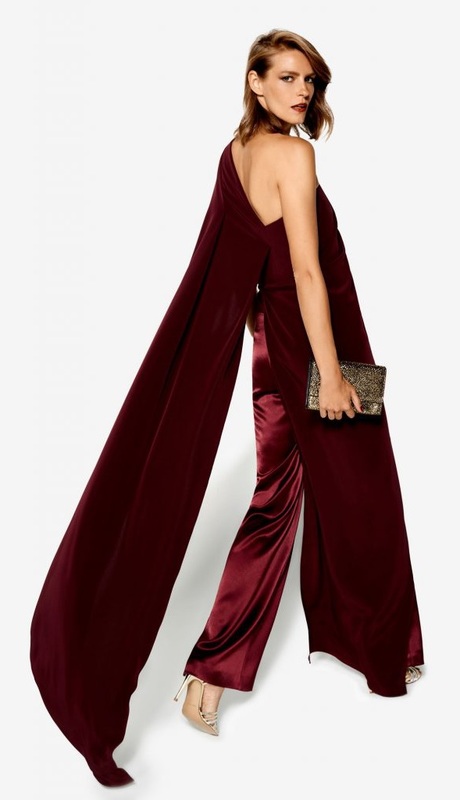 The Greek-inspired jumpsuit features plazzo trouser and an one-off shoulder bodice having a long cape at the back with asymmetric neckline. 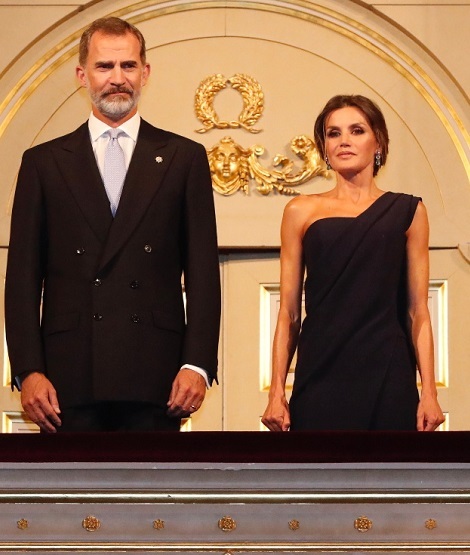 Look at the design Letizia wore. 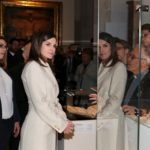 Letizia paired the new element of wardrobe with familiar accessories. 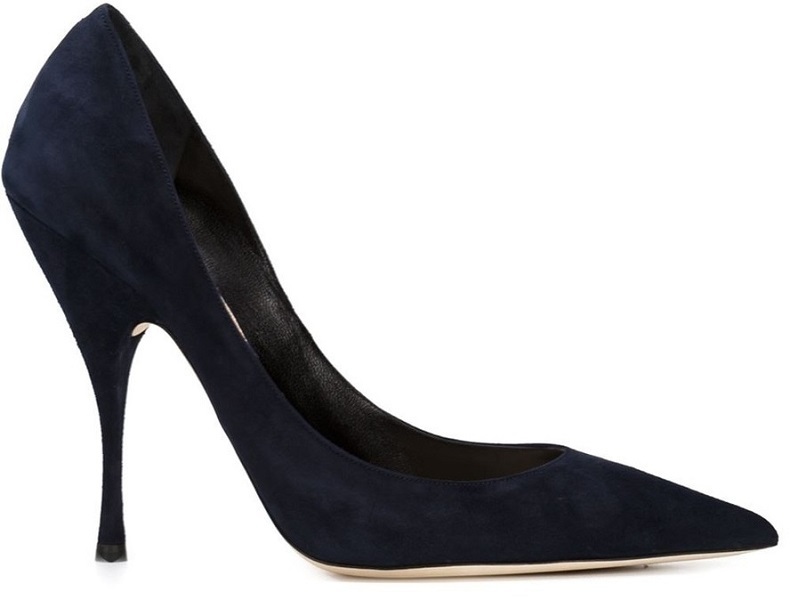 She was wearing blue suede Nina Ricci Pumps. and carried Felipe Varela flap satin clutch. She finished her look with a messy bun and Bvlgari Aquamarine diamond teardrop earrings.